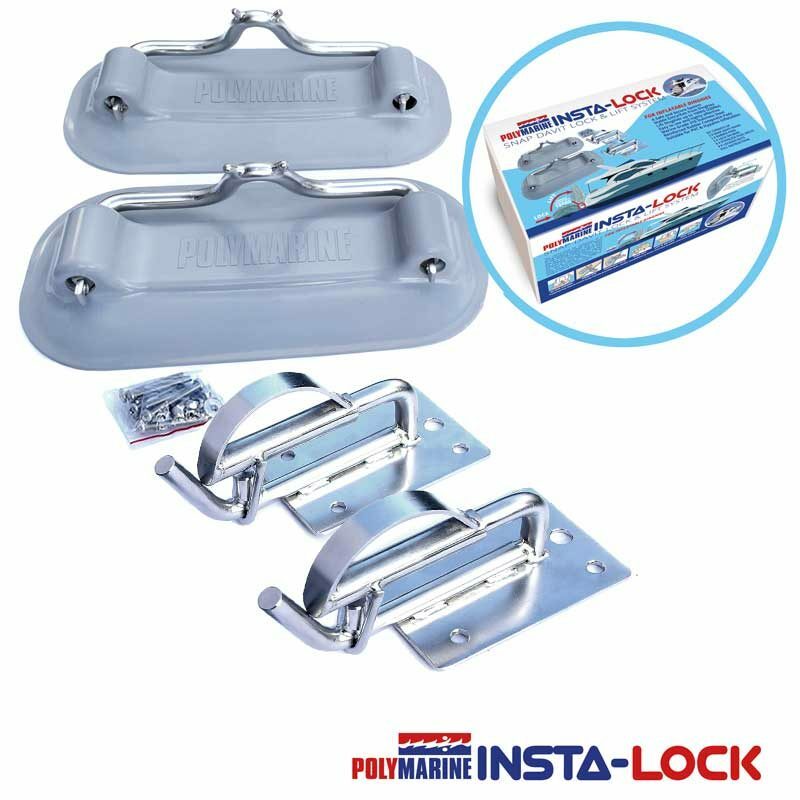 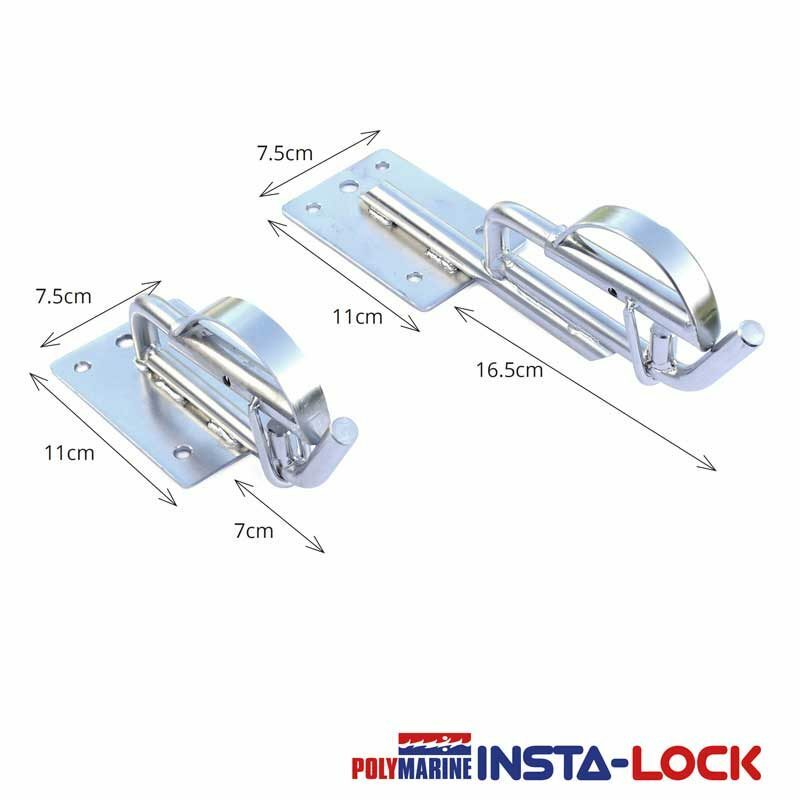 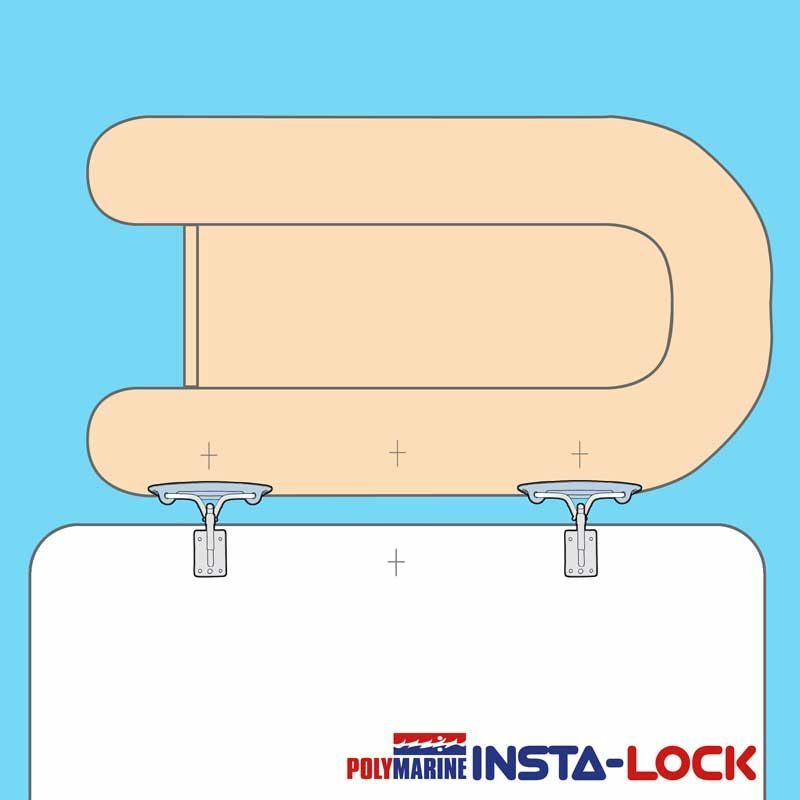 Insta-lock Snap Davits are a lock and lift system, designed to secure and stabilise an inflatable dinghy to the back of a Motorboat or Yacht. 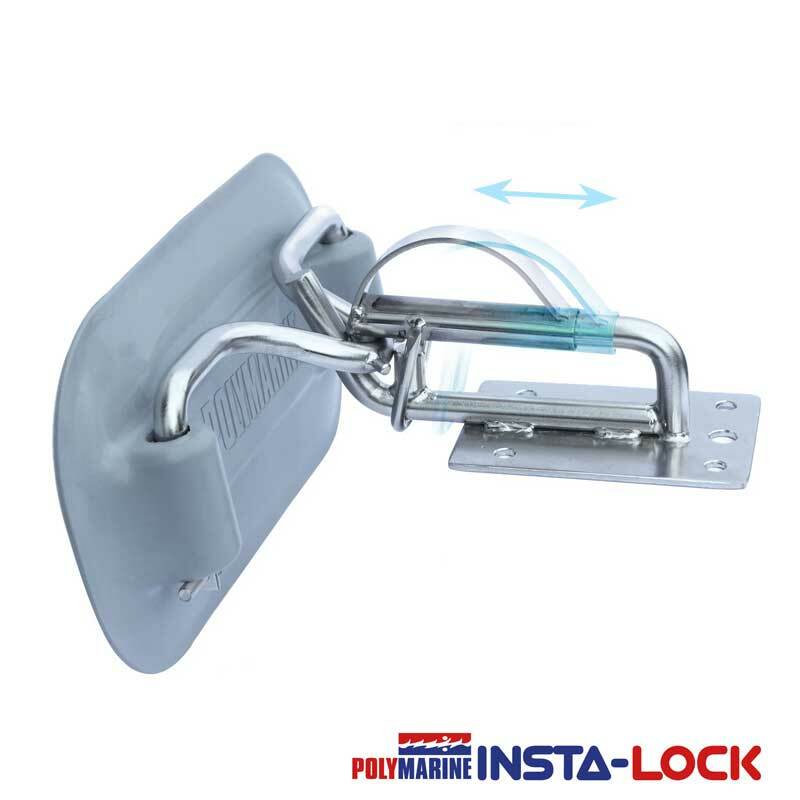 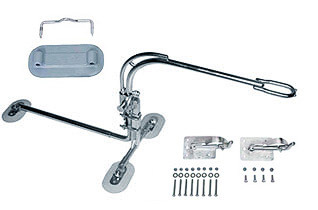 • Insta-lock Snap Davits provide a safer method for a person to enter and exit a dinghy. 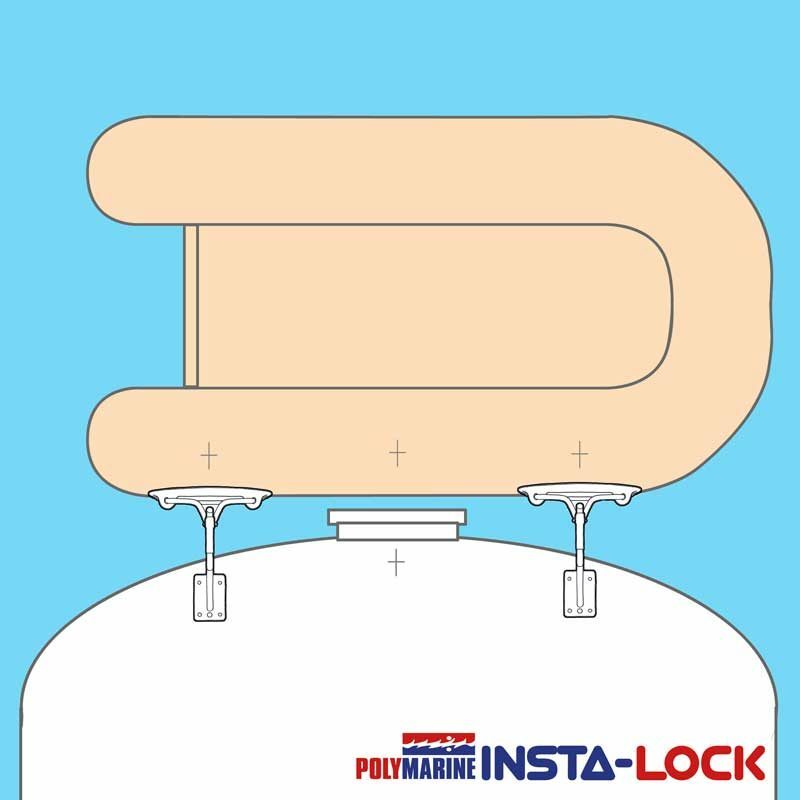 • When locked on, the dinghy can be lifted out of the water to a vertical storage position. 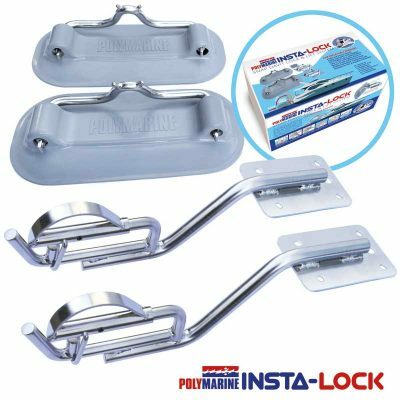 • When locked and lifted, your dinghy avoids drag and fouling when cruising. 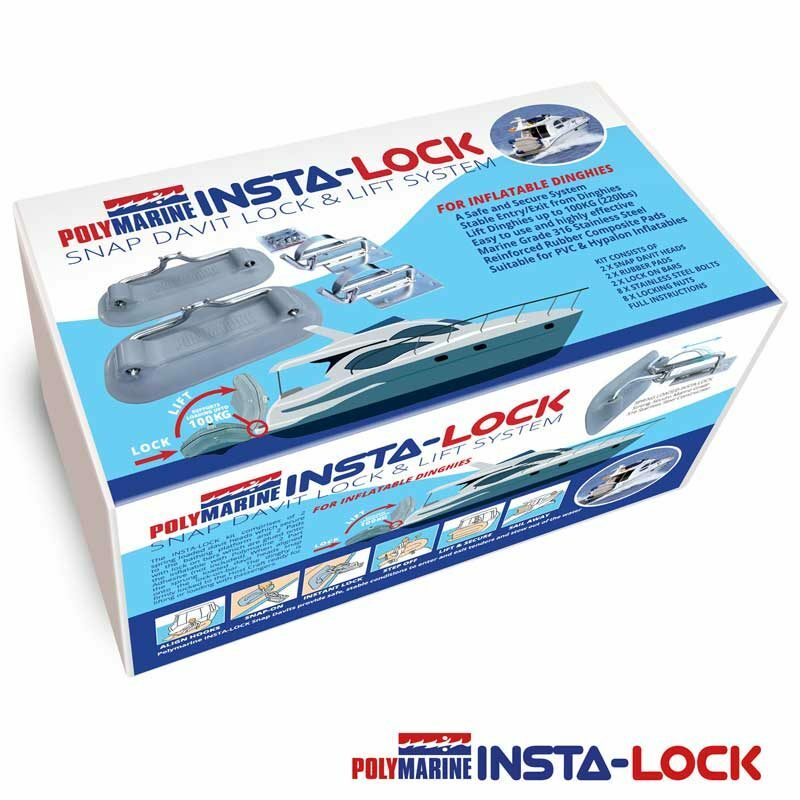 • When locked and lifted, you can save space in the Marina and save on Berthing fees. 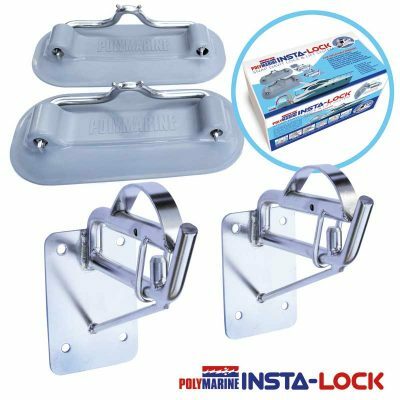 Preparation note; If you have a PVC DINGHY the back of the ‘rubber’ pads will need to be primed with a thin layer of Hypalon adhesive before proceeding with instructions for using PVC adhesive.